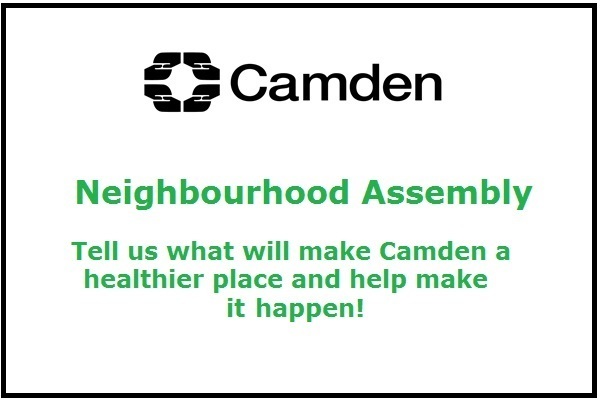 Tell us what will make Camden a healthier place and help make it happen! In Camden, we want to work together to make our borough a place where it's easy to be healthy. And we want to know how you think this can be done. A new Neighbourhood Assembly is forming in the west of the borough to give residents a real say in improving health and wellbeing. It'll shape ideas to improve lives and have the support of a panel of experts (including councillors, GPs, directors and community leaders). Take part in this innovative approach and help design and shape support for local people. 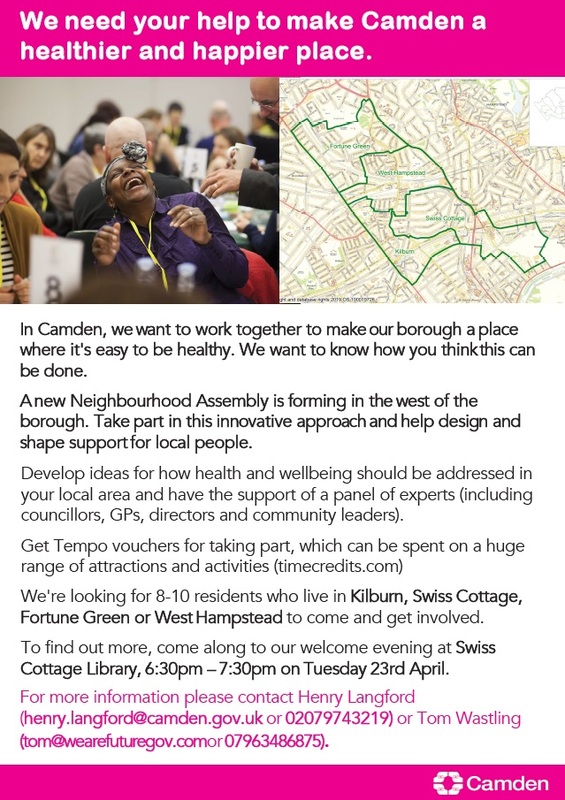 The first Neighbourhood Assembly will address issues in the west of the borough so we're looking for anyone who lives in Kilburn, Swiss Cottage, Fortune Green or West Hampstead to come and get involved. In future, we hope to expand the initiative to other parts of Camden. Come and find out more at an open meeting on Tuesday 23rd April and discuss how we can all make Camden healthier. Those who then decide to join the Neighbourhood Assembly will be asked to volunteer a couple of hours a week to activities and workshops designed to inform change and improve lives. Participants will also be rewarded with Tempo vouchers which can be spent on a huge range of attractions and activities (see timecredits.com).